This healthy party snacks & activities post is courtesy of our contributor Katelyn…I am having a slightly nostalgic day in my house. I am thinking about when I was a little girl and we had birthday parties. My mom was always so creative and could come up with hundreds of amazing ideas that my friends (to this day) still remember as being so fun! I can remember everything from the outfit I was wearing to the food being served. We were constantly busy during the party; from the time that my friends showed up, to the time that they left. It had me thinking about the health aspects of a party. What we eat, what we do. Today, when I see display tables at parties I feel like the classic veggie and fruit trays can be totally overlooked, and replaced by mountains of sugary goodness. 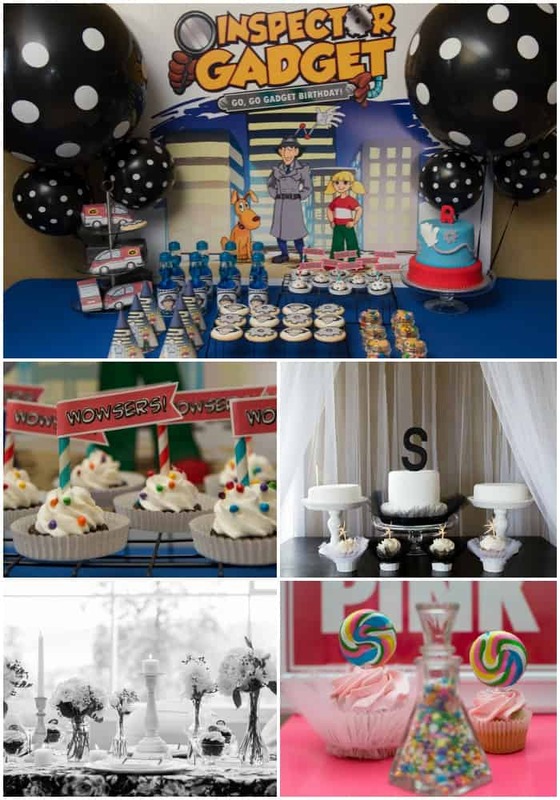 I would never tell a mom to take the cake out of a birthday (because I know how that would go over with any child; including mine) but a great cost effective tool for keeping a party in the low candy zone, can be done directly from your home kitchen. Giving the option was a complete success in our house. Believe it or not, kids ate it! The great thing about this display was that after the party, you have a week’s worth of veggies or less that can be directly added to your dinners and lunches. The prep work is really quite minimal. Pick your top five favorite veggies (or fruits) and cut them up into tiny bite sized servings. Put in the display bowl, and serve with dip! Moms have been doing it since forever; so why not bring back the veggie trays in a creative way! I’ve gathered some photos of other veggie and fruit ideas to incorporate into your party – check out my Healthy Party board on Pinterest for ideas. Controlling the ingredients that are going in the cake can be a very sneaky way to keep the kids level during the party! It’s really not that hard to do these days, with healthy baking substitutes like applesauce substituted for butter, baking stevia for sugar, and so on! Or, provide only one indulgent item like the cake for the party! I bake healthy cakes, cookies and even granola bars all the time for my kids, and they enjoy them to pieces. Even using one healthy ingredient substituted into a recipe can be a start. Check out the healthy cakes that I found on Pinterest- don’t they look delicious? Simply put, it is so easy to sub out a water bottle or real fruit juice for a pop. My kids have never actually had soda before, and really with the amount of sugar content per can; I don’t know when I will ever introduce them to it! With so many delicious drink options, here is an easy way to keep a party healthy for both kids and adults. 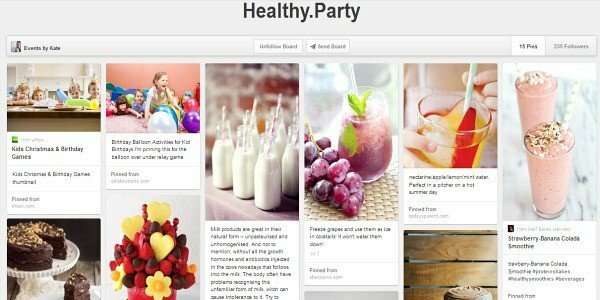 Again, pop over to my Healthy Party board on Pinterest for ideas. Kids need to stay active. My kids are constantly moving and keeping active, especially during their parties. Add some fun games to keep their hearts racing and their energy going! My Healthy Party board on Pinterest has some creative ideas you can recreate at home. We’d like to send a big thank you to Katelyn for sharing these creative ideas with us. You can find Katelyn styling beautiful parties over on Events By Kate. Be sure to follow her on Facebook and Pinterest for even more creative ideas! Here’s just a small sample of her beautiful work. Such great ideas!! I am all about “healthy” Thanks for sharing at The Mommy Club Link Party!